For over 20 years I’ve worked in the field of fisheries and ocean conservation, mostly in the Gulf of Mexico. 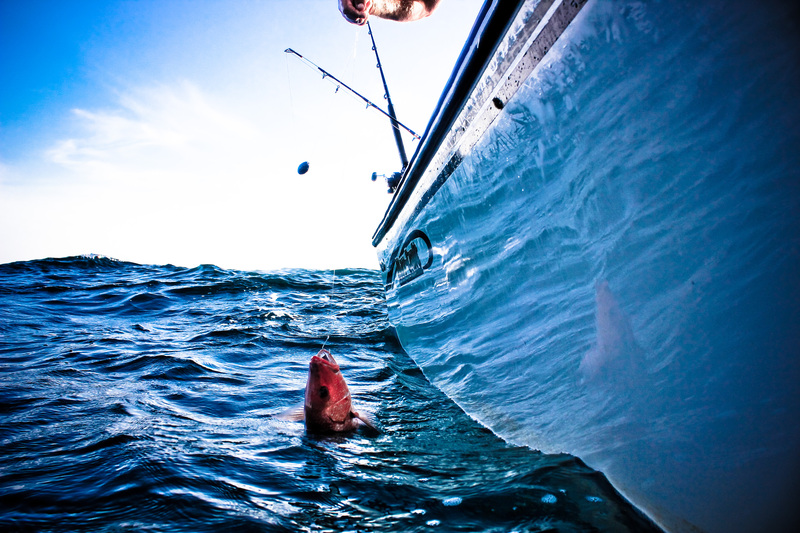 During that time I’ve been privileged to catch and enjoy the region’s red snapper, kingfish and flounder. In my view, we can and should balance conservation of the region’s resources with people’s need for jobs, food, and enjoyment. In fact, finding the balance is at the heart of the Gulf’s future. Fisheries management – especially when commercial and recreational goals seem at odds – has been controversial since federal regulations came into play in the 1980s. A newly used tool in the Gulf called “catch shares” is currently getting a lot of attention, some of it from anglers concerned that it is responsible for increasing recreational regulations and shrinking access. This is a misconception. The Gulf of Mexico red snapper individual fishing quota (IFQ) program – one type of catch share – is again earning high marks for its conservation and economic benefits. 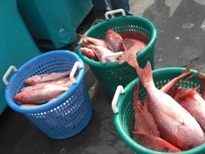 The National Marine Fisheries Service (NMFS) has published three annual updates of the program, with the latest concluding that the red snapper IFQ is meeting its main objectives. A recent stock assessment also concluded that long-standing “overfishing” of red snapper is finally ending. Commercial overfishing is reversed and catch limits are climbing. After recent deep cuts in catch, commercial fishermen were rewarded this year with a more than 30 percent increase in catch in response to the positive stock assessment results and effective management. Far fewer dead fish are thrown overboard. Scientific analyses conclude that 70 percent fewer fish are being thrown overboard under IFQs across the Gulf. The latest report highlights that in Texas and Louisiana, which accounted for over half of the ’09 landings, fishermen discarded just one fish for every 15 they kept. This is a huge improvement over pre-IFQ management when, gulf-wide, fishermen threw back about one fish for every one kept. Fishermen are leaving more fish in the water to reproduce. 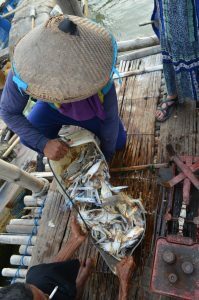 Not only are fewer fish thrown overboard, fishermen have left about three percent of their quota in the water for the past three years. Businesses have an opportunity to turn a profit. With year-round fishing and stability, fishermen bring high quality fish to the dock when consumer demand is high. Fishermen now have flexibility to tailor the catch to market needs and organize fishing trips to minimize costs. Fishermen say their costs have dropped by 50 percent or more and data show they are earning 25 percent more for their fish at the dock. The value of the fishery is rising. 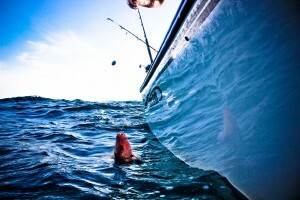 The rising value of the privilege to catch red snapper represents growing benefits to Gulf communities and reflects optimism for a healthy fishery, stable management, and a commitment to conservation. With 2011 around the corner, a milestone for IFQ program is approaching: The start of a 5-year mandatory performance evaluation. All federal catch share programs are reviewed at the 5-year point to evaluate progress toward goals and identify needed improvements. This is also an opportunity highlight the region’s most significant management successes – and national model – and to fine-tune the plan and ensure on-going benefits to the fishery, industry and communities. Ensure standardized, accurate reporting of ex-vessel prices by fish dealers. This is important in part for collection of cost recovery fees. Improve the online IFQ reporting system so that it reconciles with other landing records data. Ensure compliance with the six percent cap on holding IFQ shares. Eliminate the minimum size limit to reduce size-related discards. Better integrate eastern Gulf fishermen into the IFQ program (This region received little initial allocation of shares because red snapper had been fished out of the area until recently). Create a full-retention fishery where all fish caught are counted toward each fisherman’s quota, and tracked by camera, to eliminate all waste that lessen the value and recovery of the fishery. The red snapper IFQ has already served as a model for Gulf commercial fishermen who voted to add 20 grouper and tilefish species into the IFQ program in 2010. Conservation and economic benefits will further improve if all commercial reef fish are incorporated into the program. Regulators and commercial fishermen who target highly migratory species, like sharks, are also considering how catch shares might help them improve fishing, reduce wasteful discards, and boost profits. Finally, catch shares could also be applied to struggling Gulf charter operators to give these fishermen an opportunity to plan their businesses and far better meet the needs of their angler clients. 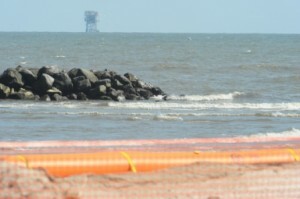 As attempt after attempt to plug the BP Oil Disaster fails, and the ability to drill relief wells lies months in the future, BP may spread many more dispersants into Gulf waters in the near future. Read this week’s Wall Street Journal article on this topic. EDF’s goal for the Gulf of Mexico is to ensure that people can enjoy fishing, run profitable and safe fishing businesses and eat fresh Gulf seafood, while conserving a healthy ecosystem for the future. 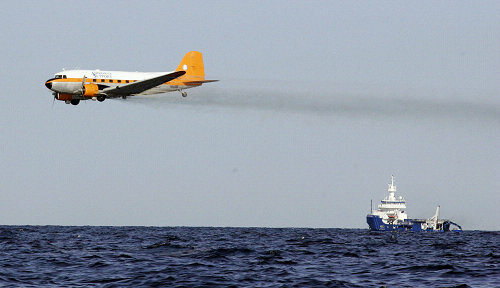 Dispersants are a direct threat because scientists don’t know much about how the droplets of oil and dispersant chemicals that float around will affect fish habitat or the marine food chain. 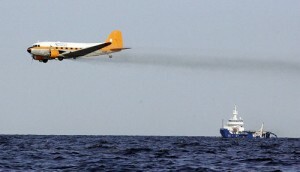 Why aren’t we using the safest and most effective dispersants in the Gulf? Richard reports that of the 18 different dispersants the Environmental Protection Agency (EPA) has tested, the two dispersants of choice— Corexit® brand— ranked only 13th and 16th in effectiveness. Read more. What part of “contingency plan” did we not understand? Richard and others takes a look at the federal government’s contingency plan for dispersant use in oil spills and find that several simple questions remain unanswered, including: Read more. The bottom line is that scientists have little understanding of how dispersant chemicals will affect the Gulf and marine life. If their use is allowed to continue, BP should use the safest and most effective products available, and make a long-term commitment to support research that evaluates their ecological and human-health impacts.